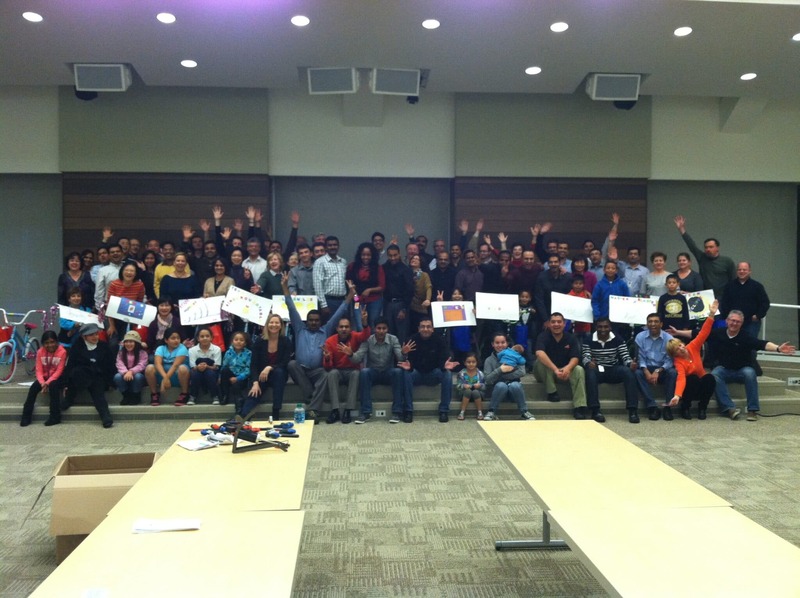 Visa recently held a Build-A-Bike ® team building workshop for some of it’s employees near San Francisco, California. There were about 80 of Visa’s information technology employees from four different departments involved in the event which was held at Visa’s headquarters. Visa is a global payments technology company that connects consumers, businesses, banks and governments in more than 200 countries and territories, enabling them to use electronic payments instead of cash and checks. They issued their first cashless payment card in 1958! Visa wanted to include extra time in the workshop for the group to talk about communication styles and leadership principles, so we spent the first hour doing just that. As each of the four main personality styles emerged in the discussions, there was a lot of laughter and teasing as people recognized themselves and each other. Their engagement in each of the exercises was enthusiastic, and it was clear they were having a lot of fun. The main portion of the program required the participants to abandon their competitiveness and work together to gain knowledge and resources in order to be successful. Skeptical and a little reluctant to share what they each had at first, eventually everyone adopted a spirit of cooperation and together they were able to build 12 bikes for kids. St. Matthew’s Catholic Church brought 12 very excited kids to the event to receive the donation from Visa. All the tension and struggles of learning to work more cooperatively melted away as the participants looked at the kids’ faces. Several parents indicated that these will be early Christmas presents. It was a very moving moment! Everyone likes to have fun, and everyone likes to make a difference to children in their communities. Whether you are looking for a stand-alone workshop or a unique was to spice up your next corporate gathering, Build-A-Bike presents a great option to consider.